Dr. Pamela Peeke is an internationally recognized physician, scientist and expert in the fields of nutrition, metabolism, stress, and fitness. Dr. Peeke is known as an "edutainer," combining her notable wit and energetic passion, with the latest scientific data and common sense approaches to holistic, healthy living, to provide audiences with her healthy living message in a memorable and entertaining mode of delivery. Her speaking and presentation style have earned her the reputation as one of the most requested physician speakers and experts in America. Pamela Peeke has been recognized as one of the leading women physicians in America by the National Institutes of Health. An avid athlete, Dr. Peeke is also known as the doctor who "walks the talk." guiding people to achieve their mental and physical "Peeke" Performance . A marathoner, mountain climber and hiker, Pamela Peeke and her team enjoy providing participants, Peeke Performers, with the opportunity to join her Peeke Week Retreats for Healthy Living at destinations spas throughout the country. Dr. Peeke is the author of the national bestseller Fight Fat After Forty, the first consumer book describing the stress-fat connection for men and women. It has become the go-to book for anyone trying to understand why they eat under stress and what to do about it. Dr. Peeke's PBS special, Fight Fat After Forty: The Stress-Fat Connection, is nationally syndicated. Body for Life for Women is Dr. Peeke's New York Times bestseller. Using cutting edge science and a holistic and integrative program, Dr. Peeke shows women how to transform their lives and achieve and maintain their optimal mind and body fitness throughout the decades of their life. Dr. Peeke's companion Body for Life for Women Workout DVD and book have been launched in 20 countries thus far. 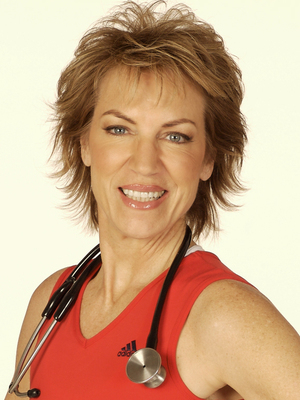 Dr. Peeke's new book, Fit to Live, was launched on the Today Show May of 2007. The new book will be accompanied by a television and syndicated radio show. Dr. Peeke is Chief Medical Correspondent for Nutrition and Fitness for the Discovery Health Channel, and is the doctor behind the popular and award winning National Body Challenge campaign and television series. Her book, The National Body Challenge Success Program for the Whole Family, is the best selling companion guide to the television and web based program which is presently followed by a million American families. Dr. Peeke is also a regular in-studio medical commentator for the national networks including CNN's American Morning and the NBC Today show. Dr. Peeke is the monthly columnist and contributing editor for numerous national magazines (including Prevention, O magazine, Yoga, Shape, Glamour, Fitness, Ladies Home Journal, More), and is a member of Oprah Winfrey's O Team of nationally recognized experts in women's health. 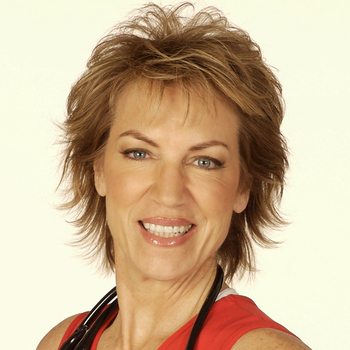 Pamela Peeke is on the board of IDEA (International Dance Exercise and Aerobics Assn) and is a member of the American College of Sports Medicine. Dr. Peeke is health advisor to the Clinton Foundation and Alliance for Healthier Generations. Dr. Peeke is a Pew Foundation Scholar in Nutrition and Metabolism and holds the position of Assistant Clinical Professor of Medicine at the University of Maryland School of Medicine. Dr. Peeke was recently recognized as one of the leading women physicians in America by the National Institutes of Health Library of Medicine's first exhibit on the history of American women physicians. A practitioner of holistic, integrative medicine, Pamela Peeke was the first senior research fellow at the National Institutes of Health Office of Alternative Medicine, where she helped establish the scientific foundation for the research and development of investigations involving nutrition and fitness. Dr. Peeke is an expert in the newly emerging field of gender specific health and medicine, emphasizing the strengths and vulnerabilities of both genders as they practice healthy lifestyles. As a member of the American College of Physicians, Dr. Peeke works as one of the physicians for the NBA'S Washington Wizards. Dr. Peeke is a member of the Maryland Governor's Council on Fitness establishing public policy regarding nutrition and fitness statewide. Pamela Peeke is an advisor and expert for former Surgeon General C. Everett Koop's national Shape Up America campaign. And, she is the Medical Director of the National Women's Health Resource Center. A native of San Francisco and a graduate of the University of California at Berkeley, Dr. Pamela Peeke received her Masters Degree in Public Health and Public Policy before pursuing her medical degree at Michigan. Dr. Peeke completed her training in internal medicine at the George Washington University Medical Center. After ten years as a specialist in critical care and trauma, Dr. Peeke received the Pew Foundation Post-doctoral Scholarship in Nutrition and Metabolism from the University of California at Davis. As a Pew Scholar, Dr. Peeke was invited to come to the National Institutes of Health and pursue her work in nutrition and stress physiology. As a senior scientist, Pamela Peeke has focused her basic and clinical research upon the relationship between chronic stress and nutrition. At the NIH, Dr. Peeke was the recipient of the National Research Science Award Fellowship as well as the Intramural Research Training Award Fellowship. Dr. Peeke received her training in molecular biology at the NIH Howard Hughes Foundation.